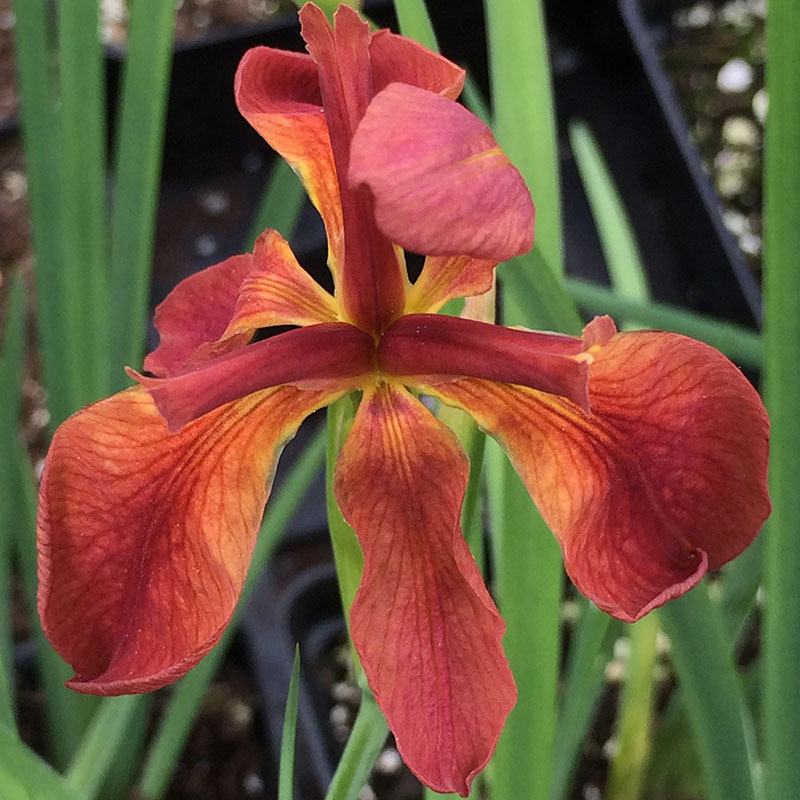 An unusual color for iris, Copper Irises have terra-cotta red flowers late spring-early summer. Grass-like foliage provides a pleasing contrast to wider leaved perennials, blends nicely with grasses, and has an easy, natural look. Attracts hummingbirds and butterflies. Full-part sun. Average to wet soils. Height and spread 1-3′. Native to Louisiana and the Mississippi region. Zones 4-9.